Chandrika had won the Presidential election in 1999 and then won the Parliamentary election in 2000. 2001 however was a disaster, and several members of her party abandoned her that year which precipitated another election which the UNP won. I voted for them then, but before long it was clear that Ranil had no idea how to control the Tigers, and rather concerned himself with busily dismantling the State. 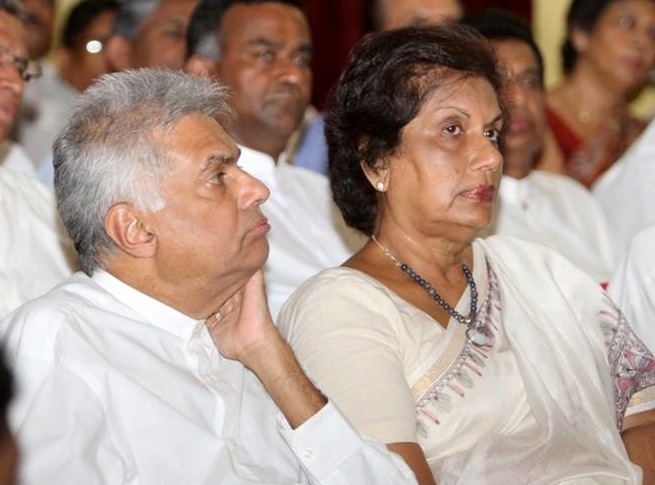 It was understandable then that Chandrika, who had been persecuted in defeat (Ravi Karunanayake and her handbag being amongst the more entertaining episodes of her solitary struggle against the UNP cabinet) returned to the fray at the end of 2003. Ranil refused to compromise, assuming that he and the then LTTE dominated TULF would get more seats than the SLFP and its allies. He was wrong, and Chandrika established her own government again in April 2004. Needless to say, Batalanda was trotted out again for that campaign. The Times reported in March that year that she had announced ‘if the Batalanda Commission recommendations related to the 1988-90 period were implemented properly, Prime Minister Ranil Wickremesinghe would not have been a free man today. President Kumaratunga addressing women’s organization representatives at the President’s House in Kandy said that in furture, action would be taken to implement the law properly and corrupt persons, including 18 cabinet ministers, facing charges before the Bribery Commission would be firmly dealt with’. Typically, nothing was done after the election. Chandrika works hard in adversity but, as I told her last November, if she succeeds she then relaxes. The 18 ministers did not face any charges, though perhaps she will now trot out allegations against those who are back with the SLFP. On balance I suspect the Leader was right, and it is Chandrika who is behind the campaign to call her present hate figure a murderer. That was not Ranil’s style in the past. But people change, and succumb to the examples of politicians who seem to have succeeded through low tactics. So even the Times claimed that Chandrika’s persecution of Ranil happened because ‘she must have learnt her lessons locally. After all, she was witness to JR stripping her mother of her civic rights over some alleged land transaction and then saw the same JR accuse her husband of being a ‘Naxalite’ and then having him imprisoned. Now it appears that Presient Kumaratunga learnt the moral of the story well: ‘all is fair in not only love and war but in politics as well’. Ironically the abuse of power JR engaged in to destroy the SLFP is now being used by both Ranil and Chandrika to try to destroy the SLFP again.